Video: Kelsey Crowe and BJ Miller Commonwealth Club June 2017 . Kelsey Crowe from Mission Pictures on Vimeo. Kelsey Crowe, Ph.D. is the founder of Help Each Other Out. Crowe earned her doctorate in social welfare at the University of California, Berkley and teaches social work at California State University. 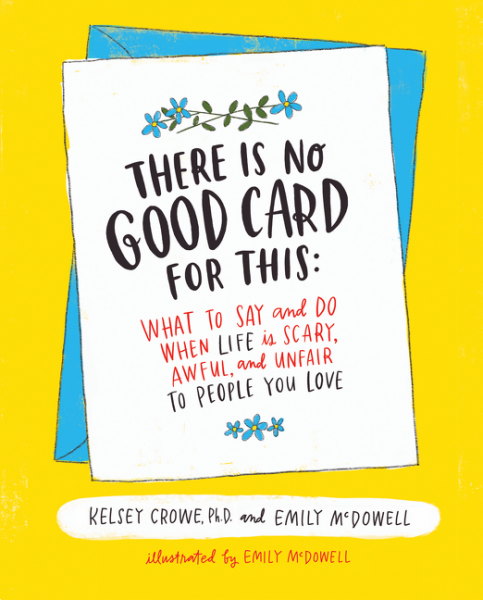 Crowe’s first book, There Is No Good Card for This: What To Say and Do When Life Gets Scary, Awful, and Unfair To People You Love (HarperOne), coauthored with Emily McDowell, debuted January 2017. Crowe’s organization Help Each Other Out is a growing collective of people embracing the idea that being there for others is often easier than we think, it can be learned, and that it matters. Taking the principles found in There Is No Good Card for This along with her many years of experience in the field and organization, a presentation with Crowe is not one to miss. From universities to health care organizations, every audience member will walk away feeling inspired. 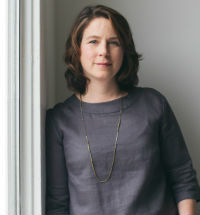 Currently, Crowe resides in San Francisco, California with her husband and daughter. She hopes for a day when no one has to suffer a personal trial alone because the people around them just didn’t know what to do or say.